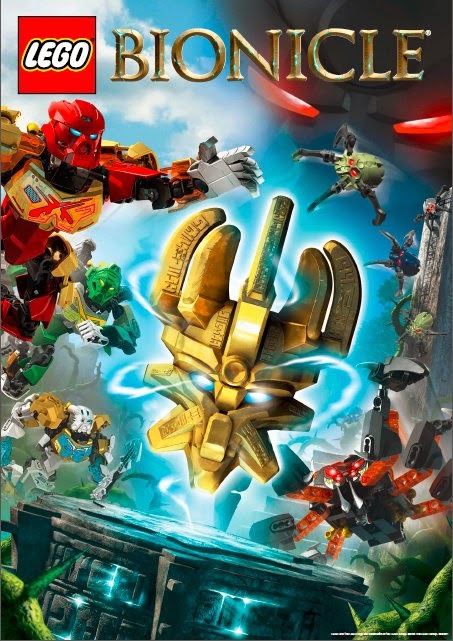 It's the new year and it has brought with it some fantastic new LEGO - new ranges such as Frozen and the Swamp Police, the relaunched Bionicle LEGO, and plenty of additions to old favourites such as LEGO minifigures Series 13, Friends, Arctic and one of our favourites - The LEGO Movie. 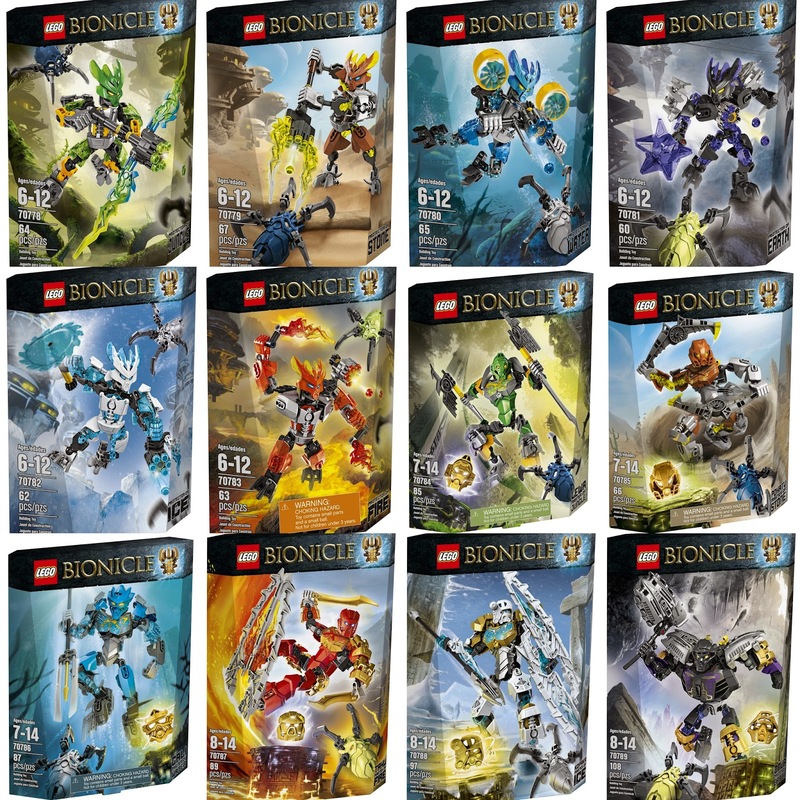 Bionicle LEGO has been relaunched and there are 13 new figures - 6 protectors, 6 Toa heroes and the Lord Of Skull Spiders. My 6 year old loves these and has had great fun playing with them over the past couple of years. 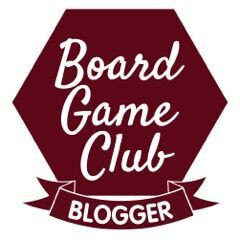 They are tricky for young hands to build, hence the 8-14 age range, but they stay together well and are very poseable, so play value is good. 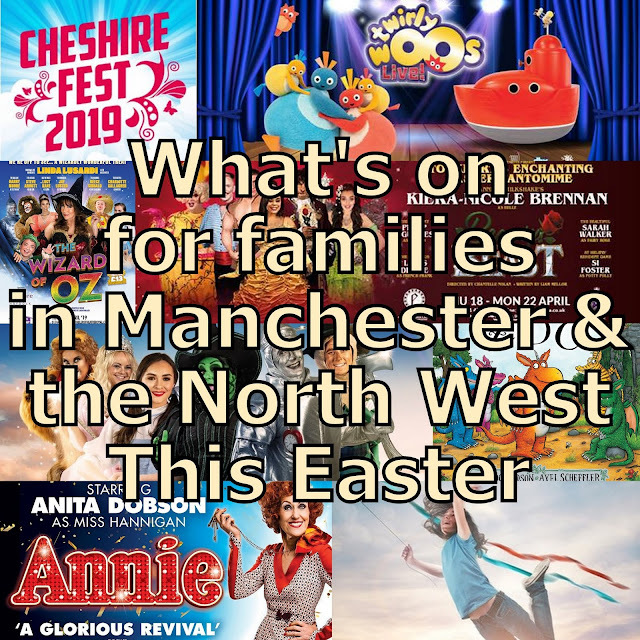 The price point is excellent for children spending birthday money and Christmas vouchers and they retail between £9.99 and £14.99. 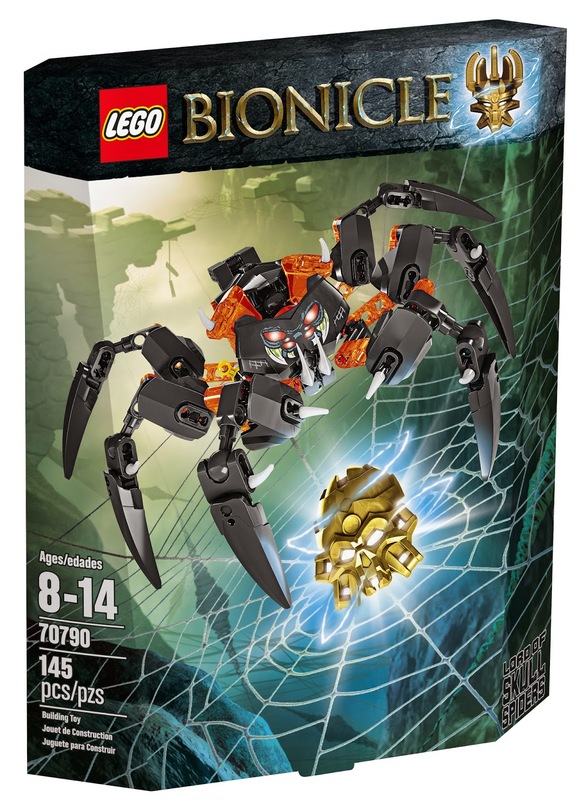 You can find out more and get some cool background and build ideas on the LEGO Bionicle website. 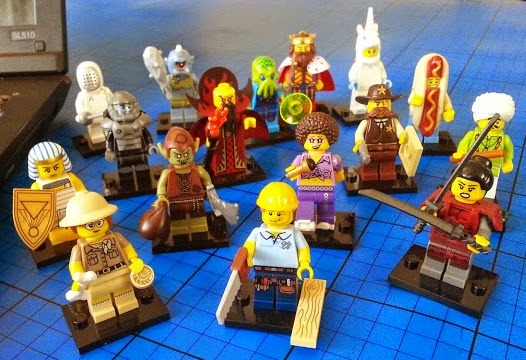 Minifigures Series 13 is a brilliant collection. Only a couple of slightly less interesting figures and some really strong females, which should please a lot of people. I'm rather keen on the Carpenter, King, Samurai and Evil Wizard (Ming The Merciless), but my favourite has to be the Palaentologist, and I love the roller skates and the Snake Charmers fabulous snake! 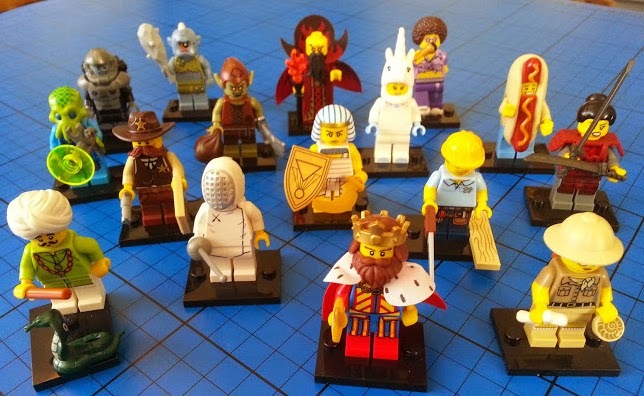 Blind bags retail at £2.49 each. The LEGO Movie sets are a real favourite of ours, they offer excellent value and have masses of play potential. 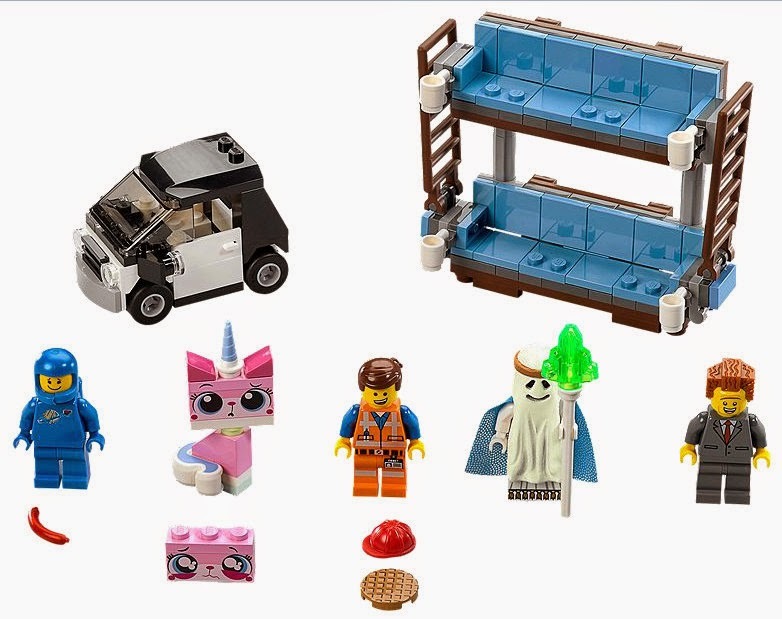 We got a Double Decker Couch in our Sea Cow set, and now there's a much more affordable version in our favourite of the new release sets - the Double Decker Couch set 70818, which for only £14.99 also includes Emmet's car and an array of interesting minifigures and accessories. Also newly released for this January is the Batman & Super Angry Kitty Attack set 70817, which is a great character set to complete your team of good guys, retailing at £11.99. Frozen LEGO is sure to be a big hit. 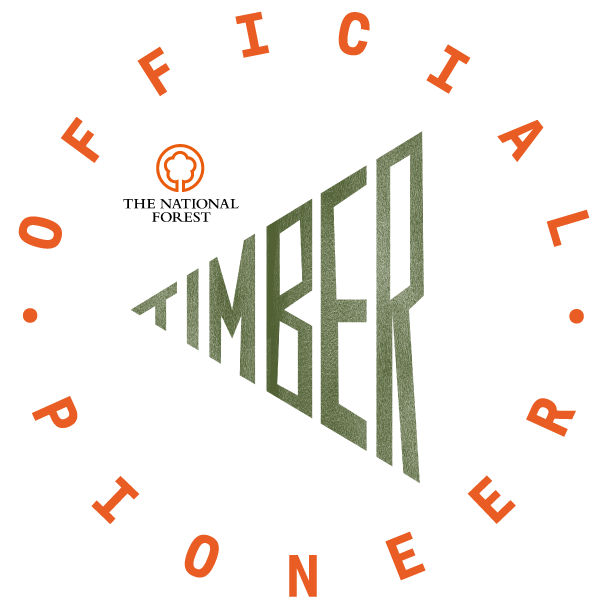 It wasn't released in the UK in time for Christmas, which might be a shame, or might be because they just couldn't get the quantities necessary for it to be a fair release, and disappointed children aren't ever a good thing. 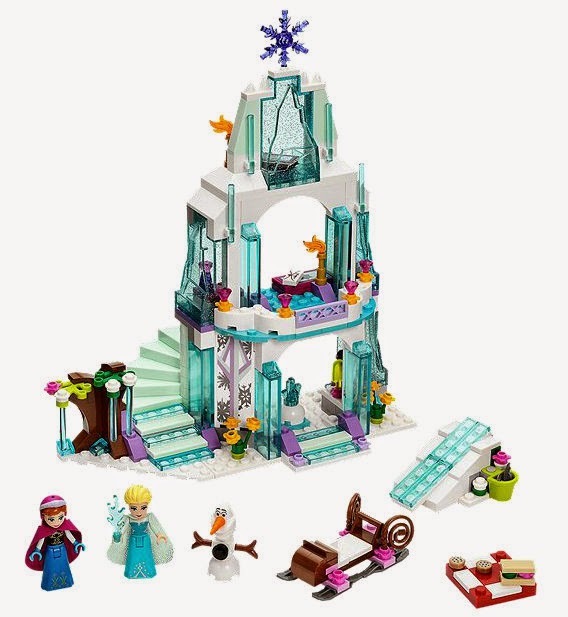 Elsa’s Sparkling Ice Castle set 41062 is fair value at £34.99, with plenty of play value and some great elements for those of us who like our Winter Village scenes - just look at all of that ice! A slope and sleigh also featured in this year's free gift Christmas set from LEGO.com , and my two boys have played with it for hours! A new model in the Creator Expert series is the Detective's Office 10246. It looked interesting enough online, and I was lucky enough to play with my mate Brett's last weekend - it's awesome. There are some great building techniques, real ingenuity and an entire storyline to go with this model. 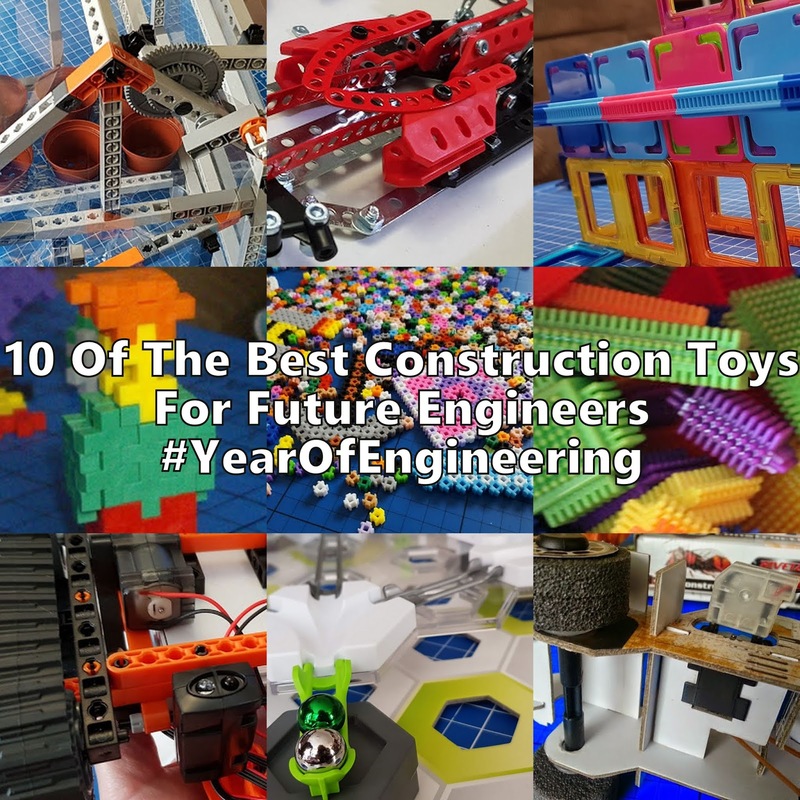 Although play is a bit cramped and some elements a little fragile, overall any child 5+ could play with this for hours - and so could their parents. It's full of secrets and there is so much going on that it's one of the most impressive models I've ever had the fortune to get hands on with. At £132.99 it's not cheap, but it represents value at that price. 4 new Minecraft sets - including a Snow Hideout set which sounds gorgeous. The Jurassic Park LEGO Ideas set? All LEGO sets can be bought directly from LEGO.com - where you can collect VIP Points for free LEGO and buy exclusives which are not available anywhere else. 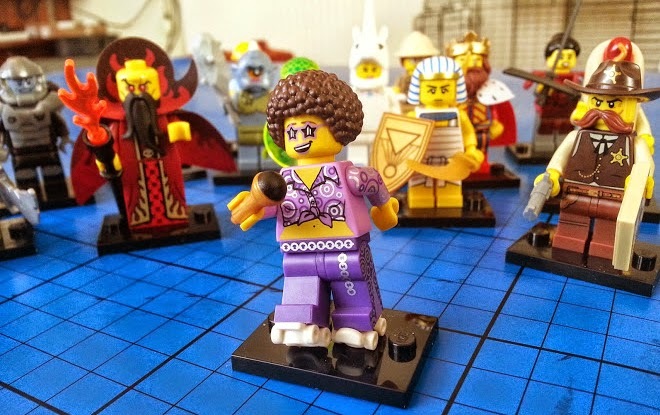 Although bargains can always be found, often rarer LEGO sets are more expensive when you buy them elsewhere, so beware of individuals trying to rip you off. 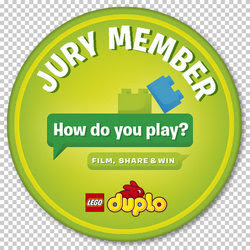 The LEGO.com website also features a host of free printables, films, games and activities for young and old alike. 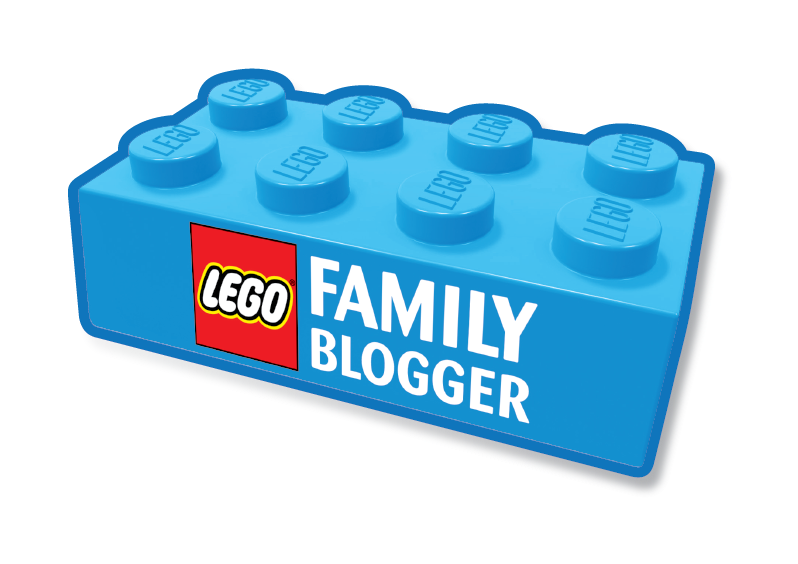 I'm a LEGO Family Blogger, but I was not paid or rewarded to write this post. Wow - so many new sets. I'm loving the Detectives Office, it looks amazing and I'm sure Miss M will be after some of the Frozen Lego later in the year! Trust me, the Detective's Office is absolutely loaded with secrets - passageways and hidden letters and moving cupboards - it's awesome! Oh my goodness, I neeed the Detectives Office. That's amazing! Do you happen to know the age range on the Jurassic World Lego? I think Bud might love it. omg! i would love to buy frozen set for my daughter! 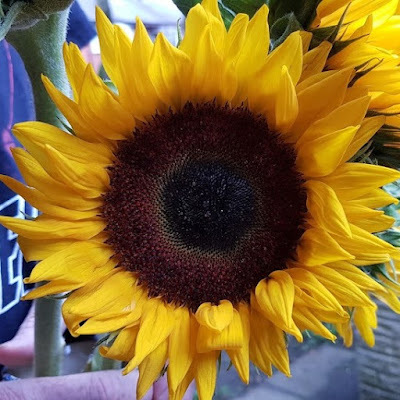 they will look great! I think the Frozen LEGO will be very popular! So many new sets, I can see where my money is going this year - Mouse is going to clock the Frozen set and she is going Squeal!! 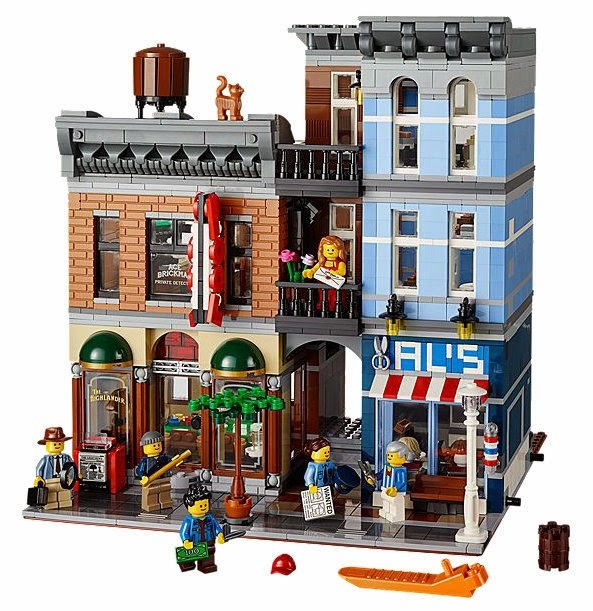 sounds like some amazing sets, I so wish I could afford the detectives office, and the other houses, but I think they would have to stay mine and not get jumbled up with the rest of the Lego. I love the frozen too, and am sure it will be a hit. Cant wait for Jurassic park either, all very exciting!